Are you ready to learn what you want and to do? Who can be the one who does not like to project himself? We live in such times when you can find out a lot about making whatever you want in a few minutes. You can learn anything from any step-by-step article, video and web and you can do any project. Well, I will not talk further about this because I'm going to introduce you to a site to keep you busy, creative and motivated. So now you are going to be creative and can create almost anything yourself! 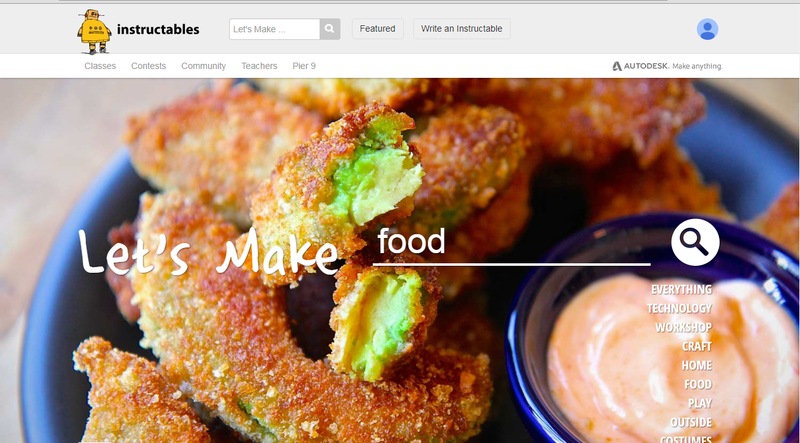 Instructables is an encyclopedia of interesting Do-It-Yourself Project that has step-by-step instructions for doing any of the things and you can easily move online classes. Instructables are a place where you can learn almost anything. It is specially designed for self-projects created and uploaded by users, which clearly have step-by-step directives. Its directives include text and photos, as well as most project videos and downloadable PDFs. Instructible is a website where any user can upload any project that he has created, which other users can comment and rate. It was created by Eric Wilhelm and Saul Griffith and was launched in August 2005. Projects available in this are submitted by the users or you can create your own project and upload it. It is then evaluated by the community. This is a good option for youtube videos. Some projects require some skill, and if you do not have that, then that project is often linked to instructable projects that are related to it. For example, the Stand Glass Clock Project Link is linked to this architectural project. You can see any project in it, but if you want to take a class, you have to sign up for the account here which is absolutely free. After this you can ask questions, give comments, upload your project or join the competition. In this the project is placed in these main categories, and you will get a very large range under each category. In addition to these main categories, it has Pier 9. It specializes in skills such as Wood Shop, Metal Shop, CNC Shop and 3D Printshop with Workshop Tutorials.